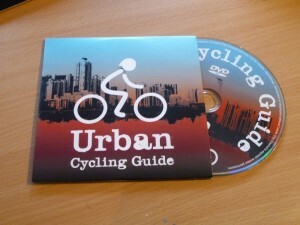 Leeds City Council have commissioned and created a DVD called the ‘Urban Cycling Guide’. You can watch some parts on their YouTube channel. 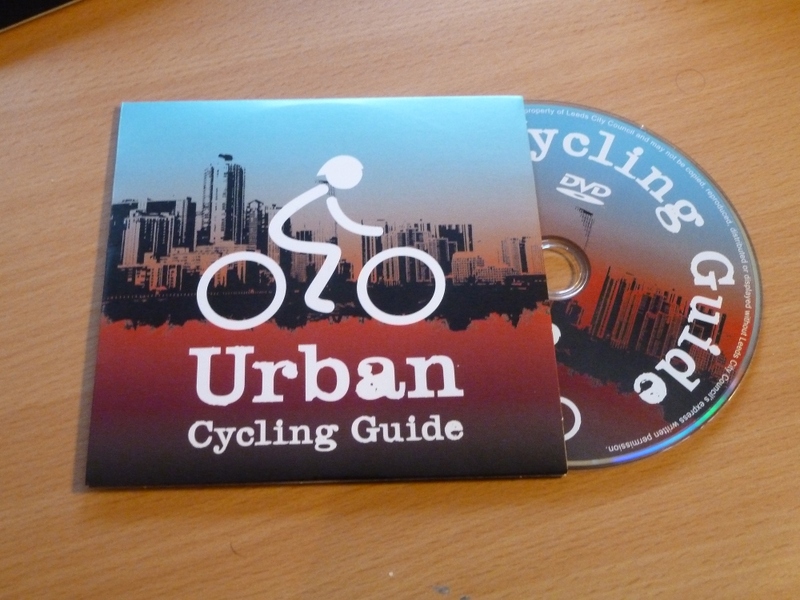 It covers how to cycle in a busy urban environment, covering common scenarios like roundabouts, multi lane roads, dual carriageways, side roads, cycle lanes, advanced stop lines and gyratories. 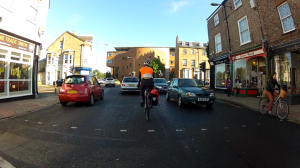 It has been filmed on the roads of Leeds, York and Sheffield by two cyclists with video cameras showing multiple angles. It seems like a very good way to teach good cycling technique. I’d recommend watching it, you’ll certainly get something out of it if you cycle on roads like these. But the film highlighted to me the problems with cycling on the roads of these three Northern cities. Roads in our country, and especially in cities, have all too often been designed with one objective; carrying high volume, high speed motor vehicle traffic. They’ve been transformed over the past half century from places where people live, work and play to places where the motor vehicle dominates to the detriment of all other uses (walking, cycling & public transport; children, adults & elderly; playing, socialising & liveability). To ride a bicycle safely on these roads (the roads in this DVD) you need to use vehicular cycling techniques, be constantly vigilant and take an assertive road position. Cycling on these roads is intimidating and therefore those that brave them are predominantly young assertive fast male cyclists. Cycling on UK roads is not inclusive (families, children, elderly) and this must change if cycling is ever to be a realistic choice of transport for most people. The priorities we use when designing our roads needs to fundamentally change. The conflicts between road users need to be dealt with and resolved though better design, if we ignore these conflicts people will be pushed off of the streets through fear, forced into cars, increasing inequality, reducing health and harming the environment. I fully support campaigns like Love London, Go Dutch, the Cycling Embassy of Great Britain and David Hembrow’s Campaign for Childhood Freedom which push for a fundamental shift in our priorities. We need to radically rethink the way we think about our streets and design our roads. Cycling will never ever be accessible to all if vehicular cycling on hostile roads is the only way to get around. As CEoGB says at the top of their webpage, “Cycling for the Rest of Us”. This entry was posted in Uncategorized on September 14, 2013 by Matt. 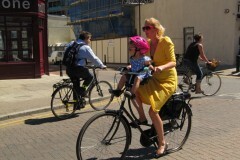 Vehicular cycling is useful for the ‘two percenters’ but the rest of the population aren’t interested. Films like this are preaching to the converted, to get new recruits we need new infrastructure. FWIW I also think the Urban Cycling Guide Taking on Junctions (8) is wrong ]:-) . Having made the turn he should remain in primary to prevent people trying to force through between the queuing traffic & him. I can handle vehicular cycling but I see it as a way to deal with a lack of infrastructure not in anyway an suitable or pleasant alternative. From the commentary you can hear all the things he is having to consider all the time. Even as one of the converted I would much prefer not to have my mental bandwidth taken up this way, on a nice cycle path I could be just going along planning what to have for tea! Good points here – Ive watched the guide and in the main the approach advocated is one I agree with except as pointed out when turning right into Lord Mayors Walk you would need to reassert the primary position because the queues of traffic mean that the lane you are in is too narrow for vehicles to safely pass you. This guide needs to be distributed widely in the student community so that they feel confident to stay on the road and not terrorise pedestrians by riding on footpaths.